The videos highlighted on this page are just a fraction of the hours of footage produced by the ADAPT project, and available to search, view and download on Figshare. 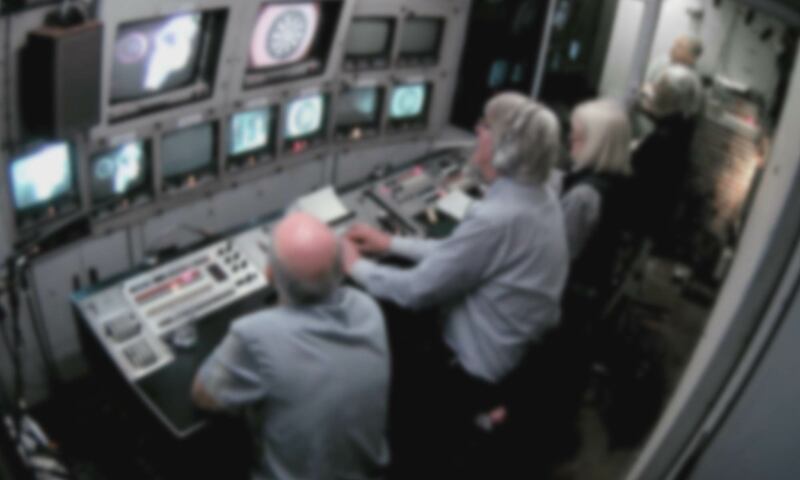 ADAPT’s recreation of 1970s outside broadcast was centred around North 3, a Type II Colour Mobile Control Room (CMCR). As the name suggests, one of the great advantages of the CMCR was its ability to produce colour broadcast television. In the late 1960s, when the Type II CMCRs were being designed and built, colour television was a relatively recent innovation in Britain. Colour television was launched with BBC coverage from the Wimbledon tennis championships in July 1967. Colour outside broadcasts were central to the BBC’s strategy for providing and expanding its colour television service. OB trucks like North 3 were equipped cameras like the EMI 2001, which was one of the first colour broadcast television cameras in regular use in Britain. The design of the EMI 2001 became an icon of the BBC during the 1970s, and the cameras remained in service until the early 1990s. Camera operator Robin Sutherland introduces the EMI 2001 colour broadcast television camera and explains the technology which made it possible. He demonstrates how advances in image pick-up tubes enabled EMI to manufacture a shorter, and therefore more versatile, television camera. Camera operators Robin Sutherland and Rex Palmer demonstrate the EMI2001’s removable lens assembly and gas operated Vinten Plover telescopic pedestal. Like most studio and outside broadcast television cameras, the EMI 2001 was an enormously heavy and bulky piece of equipment, requiring four people to lift and carry. Robin Sutherland explains how the EMI 2001, which was not designed for outside broadcasts, coped with constantly being rigged and derigged as outside broadcast crews moved from one location to the next. Camera operators Dave Taylor, robin Sutherland and Rex Palmer explains the benefits of the zoom lenses which were integrated into cameras like the EMI 2001 and the Pye PC-80. They demonstrate the routines needed to line up and calibrate the focus of the zoom lenses, in order to ensure that zooms remain in focus throughout their range of motion. Dave Taylor explains the similarities and differences in design and operation between the three-tube Pye PC-80 and the four-tube EMI 2001. PC-80s were more often used by outside broadcast crews based in Northern England, whereas the EMI 2001 was more frequently used by London-based OB units. Learn about the essential but time-consuming process of lining up, or calibrating, colour broadcast television cameras.